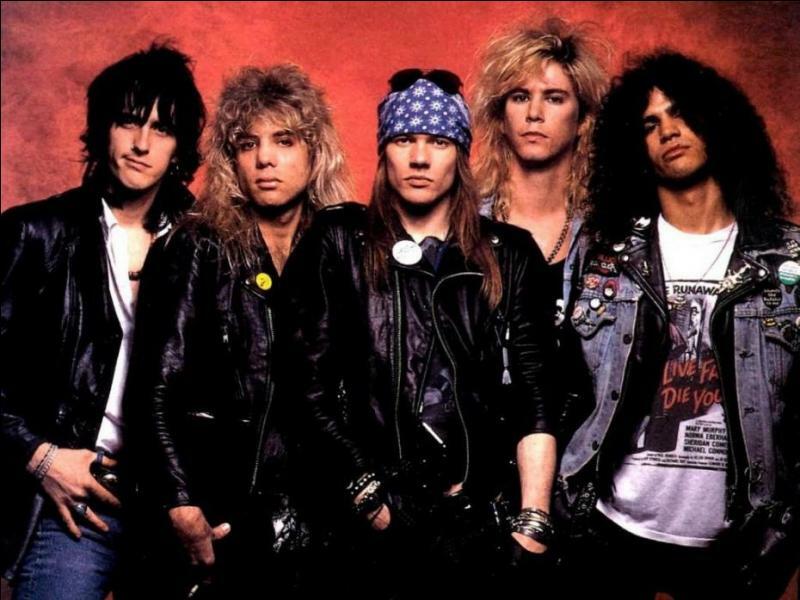 A billboard promoting the site has popped up in the Camden area of London – as tweeted by a UK fan and seen below – and features all five members of the Appetite For Destruction-era lineup of the band as featured on the cover of the 1987 album. Fan and media speculation are mixed over the campaign’s message, with some suggesting that an expanded reissue of the group’s debut could be on the way, while others guessing the reference is tied in to a reunion of the band’s original lineup. “Appetite For Destruction” is the biggest-selling debut album of all time with more than 30 million copies sold worldwide. Currently on a break from their extended reunion tour, the trio of Axl Rose, Slash and Duff McKagan will return to the stage for a series of summer 2018 concert dates across Europe that will begin in Berlin, Germany on June 3. The “Not In This Lifetime” trek has earned the band a pair of nominations for the 2018 Billboard Music Awards. Guns N’ Roses are finalists in the “Top Rock Tour” category alongside Coldplay and U2, while they’ll also compete for “Top Touring Artist” against Coldplay, Bruno Mars, Ed Sheeran and U2. Hosted by Kelly Clarkson, the 2018 Billboard Music Awards will broadcast live from the MGM Grand Garden Arena in Las Vegas, NV on Sunday, May 20 on NBC. UPDATE: The GNR website has revealed the mystery news here.